The Being Muslim class is designed to deepen our understanding of Islam together. 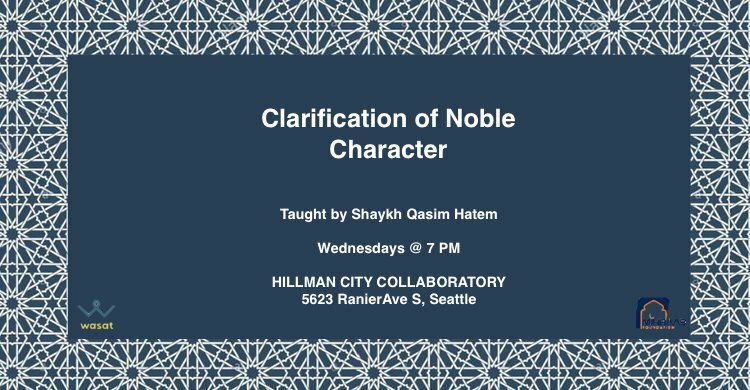 This year we will be studying “Clarification of Noble Character”, by Al-Habib Umar bin Hafiz. Shaykh Qasim Hatem from Mihraab Foundation is our teacher.